If you want more credit card rewards — and who doesn’t? — consider a credit card issued by your regular bank. Some major banks offer reward bonuses as an added incentive to cardholders who are also checking or savings account customers. Here are four credit cards that you can get an extra bonus on with a qualifying bank account. If you’re a Bank of America® banking customer and you have the Bank of America® Travel Rewards credit card, you have the opportunity to earn a points dividend of 25%, 50% or 75% through the Preferred Rewards program. The bonus you receive depends on the type of account you have and how much money you have at the bank. The card also has a signup bonus: 25,000 online bonus points after you make at least $1,000 in purchases in the first 90 days of account opening - that can be a $250 statement credit toward travel purchases. Bank of America® Travel Rewards credit card customers earn 1.5 points on every dollar spent on all purchases. 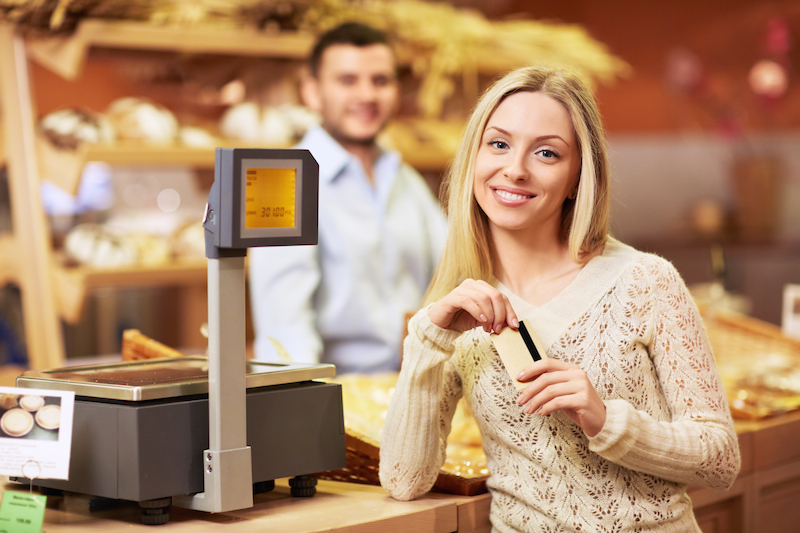 There is an annual fee of $0 and no foreign transaction fees, and the card is chip-enabled. It’s a great card for those who bank with Bank of America® and enjoy straightforward rewards and booking discount travel with whomever they choose. If you’re a Bank of America® banking customer and you have the Bank of America® Cash Rewards credit card, you’ll have the opportunity to earn a points dividend of 25%, 50% or 75% through the Preferred Rewards program. The bonus you receive depends on the type of account you have and how much money is in it. The card also has a sign-up bonus: $200 online cash rewards bonus after you make at least $1,000 in purchases in the first 90 days of account opening. With the Bank of America® Cash Rewards credit card, you’ll earn 2% cash back on grocery store purchases and wholesale clubs and 3% back on the category of your choice for the first $2,500 in combined bonus category spending per quarter. For all other purchases, you’ll earn 1% cash back. The annual fee is $0. It’s a great option for those who bank with Bank of America® and prefer to redeem their rewards with a credit in their bank account. The Wells Fargo Propel World American Express offers a relationship bonus to Wells Fargo banking customers with qualifying accounts: 10% annual points bonus on non-bonus points for checking or savings account holders, or 25% or 50% annual bonus on non-bonus points for customers with a PMA Package, depending on the type of package you have. It has a signup bonus: 40,000 points when you spend $3,000 in net purchases in the first 3 months. You’ll earn 3 points per dollar spent on airlines, 2 points per dollar spent on hotels, and 1 point for each dollar on other net purchases. The card’s $0 the first year, then $175, and there are no foreign transaction fees. It’s chip-enabled (chip-and-signature preferred) and features an annual airline incidental fee allowance of up to $100. It’s a good option for those who spend a lot on travel — especially international travel — and existing Wells Fargo banking customers.